Choose the best lightweight & watterproof camera for hiking backpacking 2016 for capturing great photos when you go climbing, mountaineering and trekking. Hikers make every effort to reduce excessive weight and to save space in their backpacks for indispensable gear. Taking pictures is almost an integral part of hiking no matter if the hiker want to capture a merely document or a stunning view in their accomplishments. Since they will most likely be taking lots of photos, choosing the best hiking cameras to suit their personal needs is essential. In this articles, we reviewed the best hiking camera for backpacking 2016 that they can make up their mind to buy an appropriate camera. 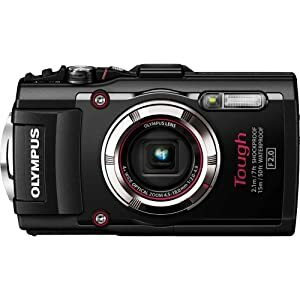 Olympus TG-3 Tough designed for extreme conditions; it can withstand up to 100 kilograms of pressure. The camera is resistant to falls from up to 2.1 meters, and it still works without a problem in cold conditions as cold as -100C and even under the water. Furthermore, it has two features which will appreciate every hiker because it has a built – in GPS receiver and a digital compass. The GPS receiver does not only add a location database to your photos, but it also provides the information about the latitude, the longitude, and the altitude. Additionally, the digital compass helps with the navigation by showing your current location. Because of the Olympus TG – 3 Tough has a built – in Wi-Fi modem, it can also connect to other devices; you can connect your smartphones with this hiking camera, and operate it on distance. These features allow you to adjust zoom, auto focus points and some other setting directly from your smartphones. This is one of the best camera for hiking and backpacking in this 2016. The images taken with this strong camera are sharp and in general high quality. The macro mode is very pleasant, and the photo focus feature reacts very fast. If you want more than standard features, the Olympus TG-3 Tough offers a variety of settings to make your photos better. 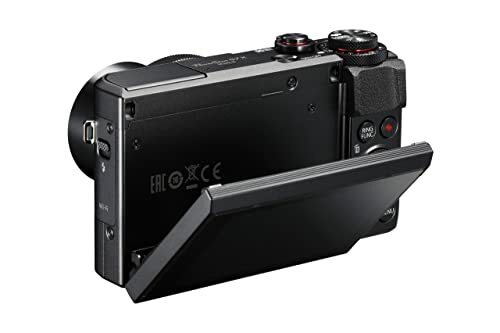 If you do not need a trendy camera, you can consider this product because it is not designed for sports, but it is light and conveniently sized. Hence, we recommend this product for hikers because it can easily be used for hiking, mountaineering, and similar activities. This camera is equipped with the 30X Zoom Leica lens that allows you to make astonishing photos even from a great distance. A low – light environment is also not a trouble since the camera features High Sensitivity MOS sensor that drastically boosts the image quality and keeps energy consumption down. The optical image stabilizer provides great anti – blur performance. This is a flashy feature because it is sometimes hard to have a steady hand while hiking. The images of moving objects are also focused and sharp. The camera also has a control ring and live view finder. The control ring comes in handy because it is mounted on the lens and you can control the exposure, the zoom and the focus. As many photographers suggest, you can have many great shots with this specialized camera for hiking and backpacking. The live view finder is convenient when the Led screen is hard to use, when the live view finder have stayed under bad light conditions, for example. The camera is equipped with an eye sensor and it automatically switches between the Led screen and the live view finder option. The Panasonic Lumix DMC-TS5A 16.1 MP is not designed for sports, but every hikers could choose it to take top – quality pictures on their journey. 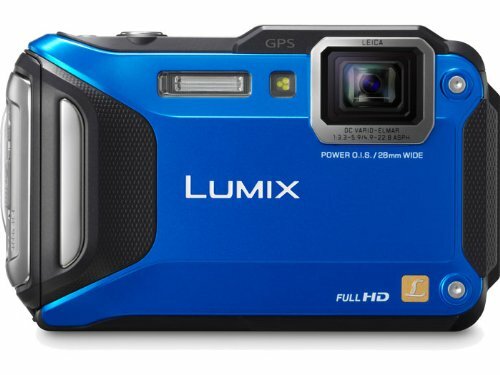 Likely the Panasonic DMC – ZS50K LUMIZ 30X, this product is not designed for sports, but because of its convenient size and low weight. Therefore, hikers can use it when hiking and mountaineering trails. The Sony Alpha a5100 is suitable for those who want to have many top – quality images on their journeys and they are willing to give away robust design to do this. The Sony Alpha a5100 has an accurate and fast auto focus. It also has 24 megapixels high resolution images, full HD videos and superb performance in low light conditions. The hikers can use it easily on trails and it is fit in one hand. It also has a conveniently placed zoom lever. This camera has a flip – up touch Led screen that taking the hikers selfies simply and accurately. With these features, I can’t leave it out of top best camera for hiking 2016. 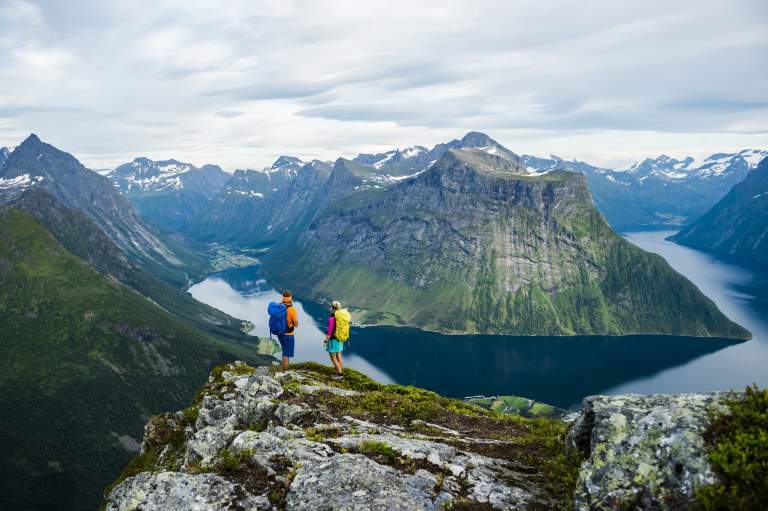 Because the Sony Alpha a5100 is equipped with a sophisticated connectivity technology, they will not have to carry cables with them on their hiking trips. They are able to transfer the images to their smartphones by using Wi-Fi. To connect their smartphone with their cameras, they can use Near Field Communication (NFC) because it is such simple to get. This camera is a great product that the hikers should consider to buy it if they prefer the image quality over robustness. The Canon Power Shot G7X is also extremely compact camera that fits in the hiker’s hand perfectly. It has a 20.2 megapixels CMOS sensor, DIGC 6 sensor, 4.2x optical zoom and the full HD video recording. The CMOUS sensor and the DIGIC 6 sensor are the latest innovations in the technology from Canon brand and they produce high resolution images, even in the bad light conditions. The hikers can take clear images from a distance thanks to the optical zoom in this product. Furthermore, the camera is equipped with an optical image stabilizer which assures the clarity of the images when the zoom feature is used. In this 2016, if you want to find a best camera for backpacking and hiking, you can’t miss this one. The Canon Power Shot G7X has a built – in Wi-Fi modem with the NFC for sharing images. 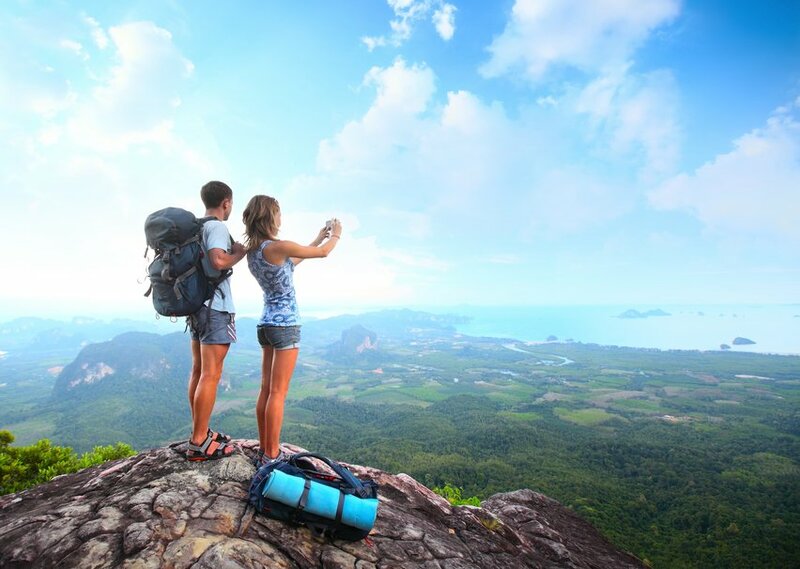 When the camera is fixed with a smartphone, the hikers can also control the camera’s shutter, self – timer, zoom and flash directly high – resolution heir smartphones. 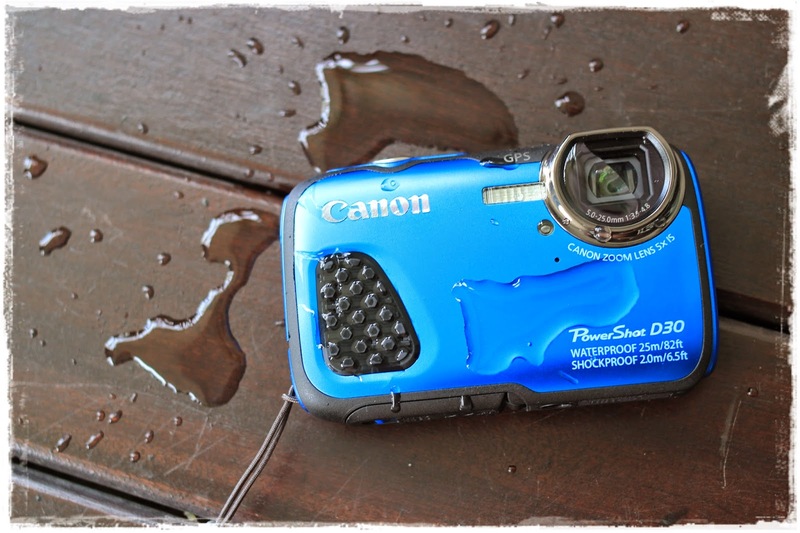 The Canon D30 is a camera build for outdoorsmen and other adventures. This camera can be used up to 25 meters below the water hand has a well – protected casing which will withstand harsh conditions on hiking trails. It is shockproof to 2 meters and the camera also works without a problem in extreme cold (down to -100C). If the hikers do not want to dig deep into settings, the camera offers 32 predefined shooting situations that assure the quality images. The built – in GPS receiver will also equip their images with location data. Choosing this modern backpacking camera is a right decision for every hiker. Unlikely the Canon Power Shot G7X, the Canon D30 does not offer wireless connectivity which is the biggest downside of it. However, this product is the best option for the hikers who need a budget camera to keep their memories alive. While hiking, you will want to keep a camera in your bag or your backpack and as you might not have many moments to take many snap shot of animals, birds or other moving objects, the best way to do that is to store it in the hip belt pocket of the backpack, the jacket pocket or the side pocket of the pants. If the camera has a convenient size, this is possible for taking some pictures on the journey. So a portable shape is an advantage of a best camera for backpacking. When hiking, you do not want to bring a heavy bag with a big and heavy camera. You should choose lightweight cameras to make your trip become easier without carrying to much. Hiking camera should protected against in some bad conditions such as abrasion and shocks. Therefore, manufactures use some special materials to protect hiking cameras. If the hiker want to have the best image quality, they will significantly consider a bulky camera. Therefore, they know that there are always tradeoffs. The hiker will consider some cameras which we selected those cameras that offer the best ratio between compactness and performance. Assuming that most of hiking photos are of the landscape variety, they could see between 18mm and 24mm is the optimal local length range. The 18mm, 21mm and 24mm are ideal focal lengths in most outdoor shots. As the hiker move narrower, they will start to lose the dramatic openness that makes landscape shots very attracting. Therefore, lens selection could be difficult. They will notice that many point – and – shoots are 24mm, 25mm, 28mm, 35mm,… When buying lenses for their mirrorless camera or DSLR, make sure to find the 35mm equivalent. Stopping while hiking and taking off the pack, finding a lens, switching them, getting the shot, then packing up the bag to begin hiking again gets too long. After 7 miles, it is hard for the hiker to find the motivation to drop their back for a lens change. However, if they have a versatile lens, they will not waste their time and energy to change lens through their destinations. 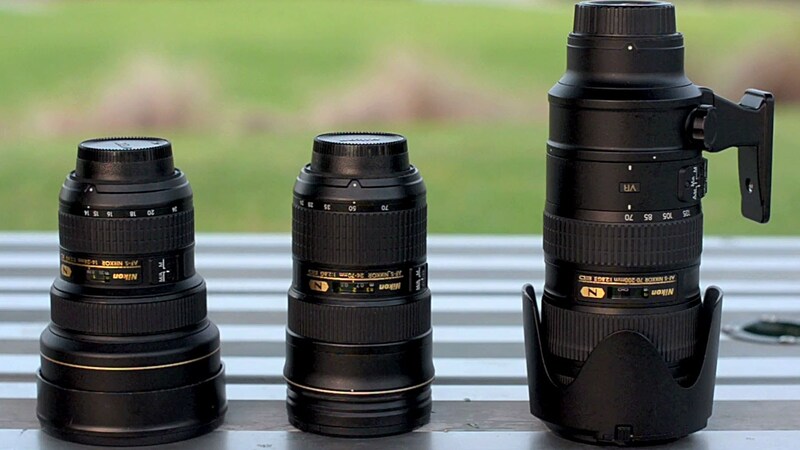 It will be great if you have many lenses. However, in this situation, when you are walking in the filed, being versatile and fast are key to getting the shot. Because you will not always have the space or room to put yourself in the position you might need to be if you are limited by the focal length of a prime lens. A mid-range zoom lens which is f/2.8 through the whole range is the primary lens the hiker could consider to use while hiking, allowing them to get reasonable shots of the scenery, but it also punch in to get closer detail shots. If you have the space to spare, a wide prime lens might be small and light enough to justify. Instead of looking only for more zoom, it would be better to go for a balanced lens. Deciding upon the best camera bag is not easy. Hikers will have the bag for the size and shape depending upon the project they go. If they are hiking, they will want a lightweight and easily un-packable camera bag which can be strapped close to their body to keep their center of gravity stable. 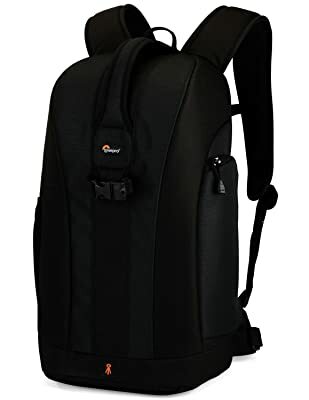 If they are an urban explorer, they may want a stealthy bag that might double as their professional go-to when not in photo mode. And, if they are just a regular guy or a lady who wants to store some gear when on the go, a canvas messenger thrown over the shoulder will do. When choosing a camera bag, consider the end use, outdoor, urban or one that can easily convert to professional use. Some hikers put their camera and long lens (in case of surprise wildlife) over their shoulders like the bandolier style. A small bag with a wide lens sits in reach on the side of their pack. As the trail gets rough and they have to scramble, they clip the camera strap to their pack’s waist belt by using a climbing – gear racking device, it is called an ice – clipper. The strap will come around their neck and their shoulder, the ice – clipper. It will effectively immobilize the camera, but they have to unclip it to use it. Hikers choose the pack that has slots for the ice – clipper. Moreover, other hikers could rig something together with cordage and a carabiner. Before beginning the journey, you should ask yourself how serious you are about photography. Hiking could be a great time to advance your photography skills, as you will have many opportunities to take photos. The most important is how well you prepare for the journey, especially in choosing the hiking camera which will be satisfactory to you. When choosing a best camera for hiking, hikers have to make sure to pick an option which will be accessible as well as other accessories such as the strap, the bag, the zoom lenses, etc. for them. Before starting the hiking, professional photographers are willing to stop and take the time to take out the camera which have interchangeable lenses and strong all – rounder camera for their amazing pictures on the journey. After that, having a complicated set – up could equate to fewer photos, and hikers will have fewer great pictures. Regardless of your hiking camera choice, assuring to have a suitable camera enough that you are using it. The best photos often are not anticipated. Keep in mind that the best camera for hiking backpacking is the one you have with you.